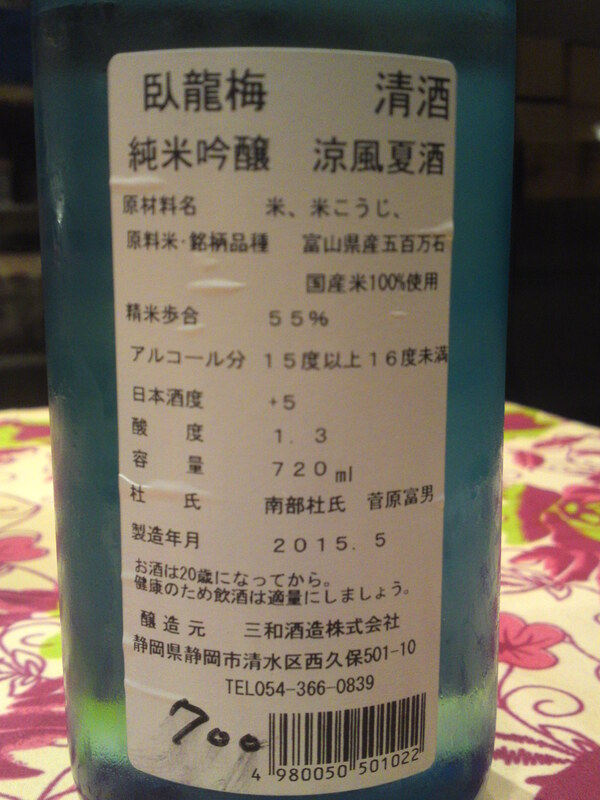 The interesting things with Sanwa Brewery in Shizuoka City is that they can come up with two different sake with exactly the same specs but a totally different taste as shown with this Garyubai Junmai Ginjo and the precedent limited edition, Garyubai Junmai Ginjo “Ryoufuu Natsuzake”! Aroma: Dry and fruity. Strong bananas. 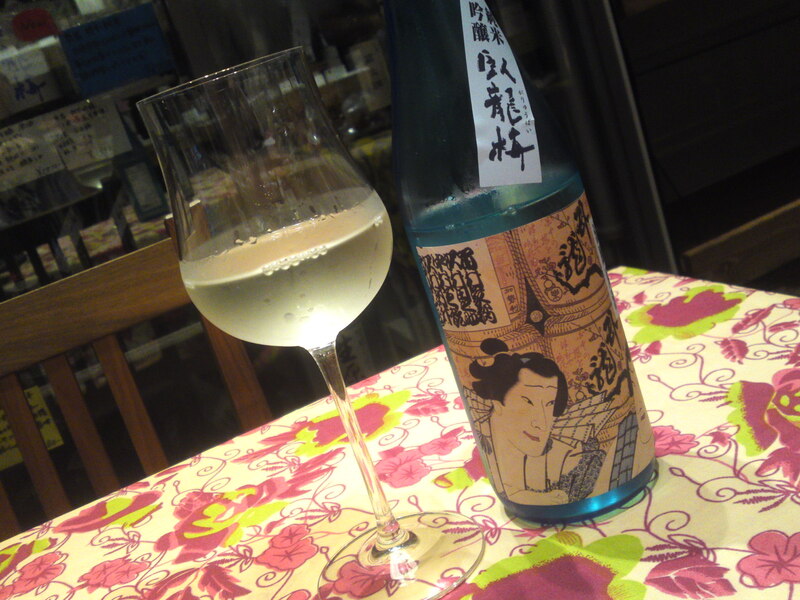 Taste: Dry and fruity attack backed with pleasant junmai petillant. Complex: bananas, custard, hints of nuts and greens. Lingers for a while before disappearing with drier bananas, custard and faint notes of dark chocolate. Varies little with food but for a drier note and more noticeable greens. Late appearance of coffee beans. 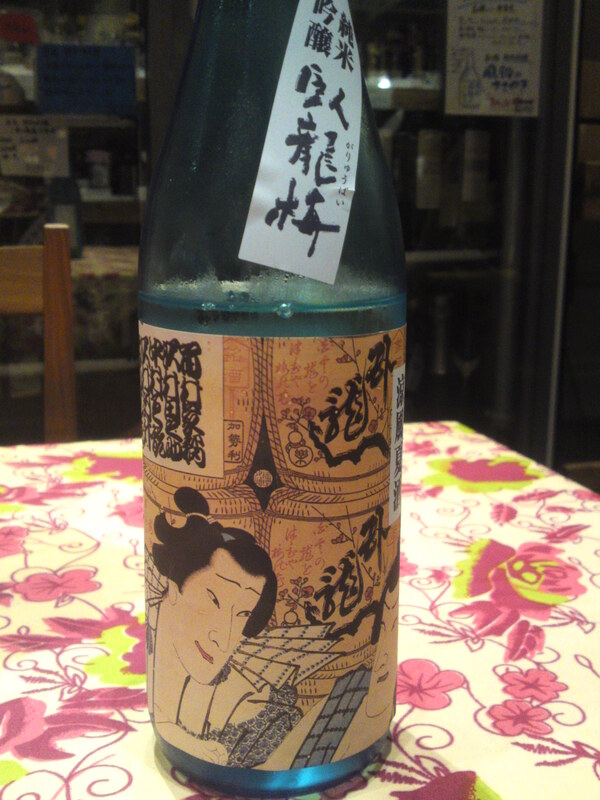 Overall: very straightforward dry and pleasant sake obviously conceived to be enjoyed with food. Eminently enjoyable on its own slightly chilled. Should be drunk at room temperature with food, though. Will the show more facets! 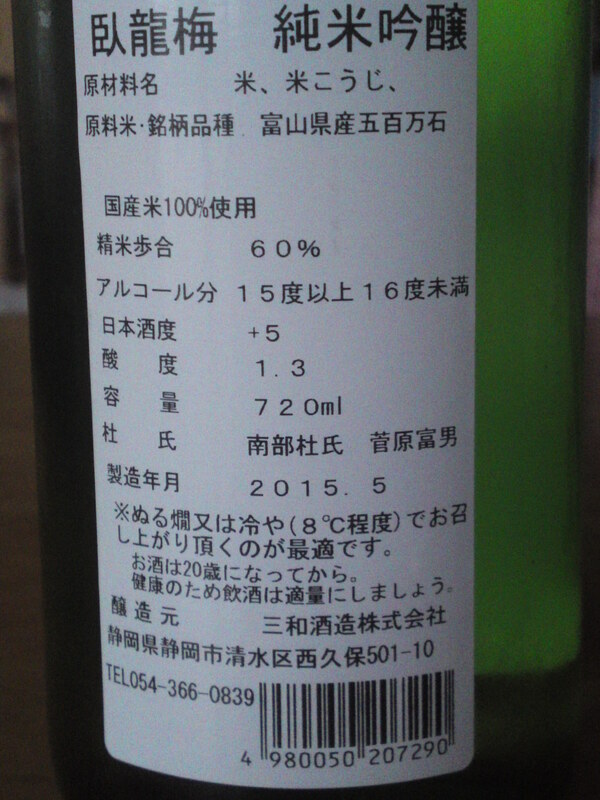 This time I tasted another brew by Sanwa Brewery in Shimizu Ku, Shizuoka City, whose particular label is known even in the States! It does make for an another long name! 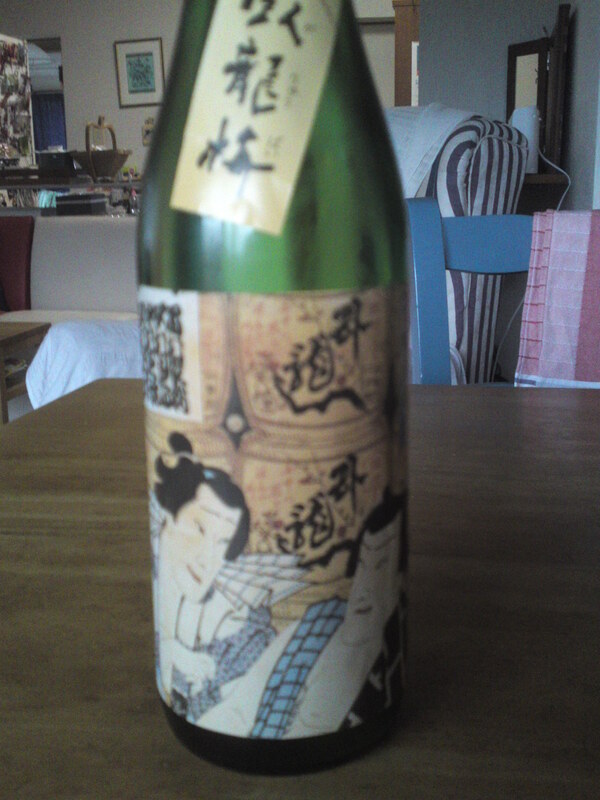 Garyubai Junmai Ginjo “Ryoufuu Natsuzake”! 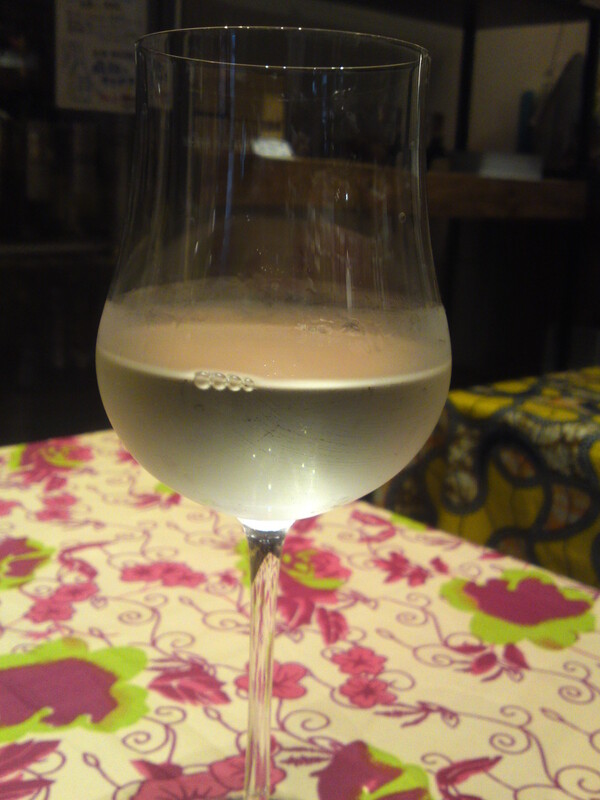 Taste: very dry and flowery attack backed up by discreet junmai petillant. Complex. Greens, asparaguses, dry watermelon. lingers only for a little while on palate before departing on a dry note with late appearance of walnuts and faint coffee beans. Dark chocolate appears with rise of temperature. 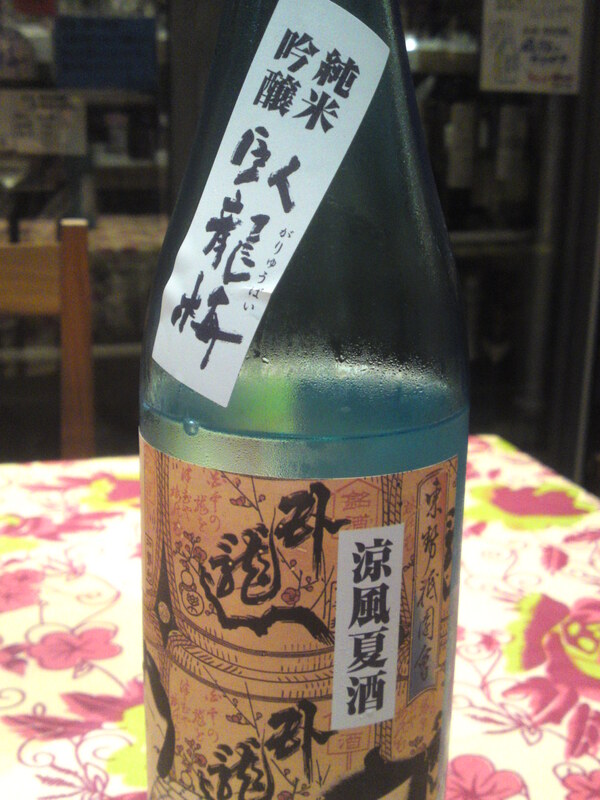 Overall: very elegant, dry and complex sake for such a simple gohyakumangoku rice. Drink it first chilled before experiencing new facets as the temperature rises inside the glass. Roll it around the glass to make it breathe. Perfect for summer evening meals. Marries beautifully with any cuisines as long as they include greens and fish. Recommended pairings: katsuo tataki, cold pork shabu shabu, yuudofu, asparaguses in hollandaise sauce.